BRIDGEVIEW, Ill. (WLS) -- The ticket company SeatGeek announced Thursday that it has purchased the naming rights for Toyota Park in Bridgeview. The agreement will go into effect at the conclusion of the Chicago Fire's 2018 season. The stadium opened in Bridgeview in 2006 and is host to the Chicago Fire Soccer Club and Chicago Red Stars as well as concerts. The stadium is owned by the village of Bridgeview. 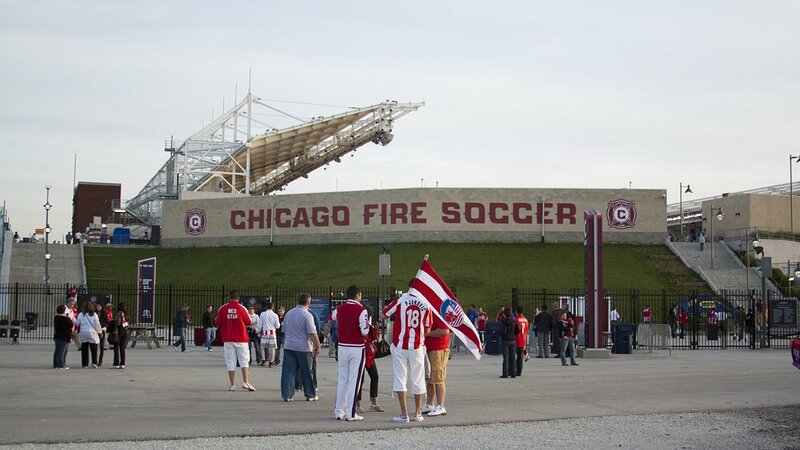 "Throughout the years our Club - and most importantly our fans - have helped create memorable moments at this stadium," said John Urban, COO of Chicago Fire Soccer Club. "We look forward to having SeatGeek add to our home-field advantage." SeatGeek is an official sponsor of Major League Soccer and SeatGeek Stadium is the first naming rights partnership for the company, which was founded in 2009. "Chicago is an incredible city for live events, and we look forward to welcoming locals and visitors to SeatGeek Stadium," SeatGeek co-founder Russ D'Souza said.